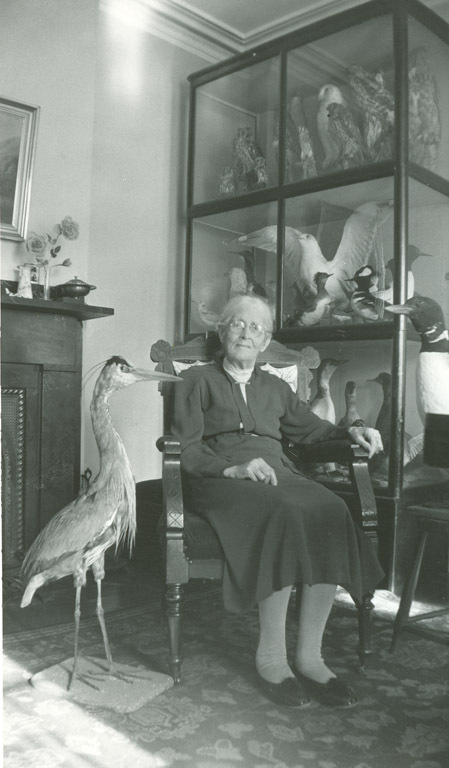 In 1997 Queens County Heritage received a collection of bird specimens prepared by a local woman, Leora Simpson (1856-1951). Miss Simpson was descended from Loyalists on her mother's side and members of her family were long-time residents of Gagetown and Queens County. Besides serving as the local postmistress, Miss Simpson also had an interest in natural history and science, and taxidermy and birds specifically. Upon her death in 1951, the collection and original cabinets were bequeathed to the local school. 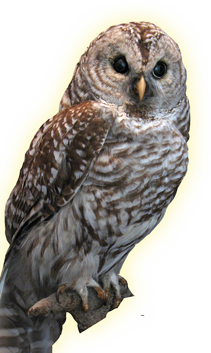 In 1997 the collection was given to Queens County Heritage and consists of over 100 specimens featuring several species of hawks, owls, ducks, geese, songbirds, shorebirds and others. As a reflection of the natural heritage of Queens County, the Simpson Bird Collection is a premier example. It showcases not only the talents of a woman in a period when females did not seek employment outside the home, but also captures the environmental heritage of our region. For the Birds was the signature summer exhibition at the Court House in 2013 which featured selections from the Simpson Collection. Explore pages about the collector, Miss Simpson, find birds common to our area, and don't miss the special learning section for lessons and activities!